Summary: Devorah Epelgrad (Cohn)'s graduation photo. Devorah Epelgrad (Cohn)‘s graduation photo. Devorah is sitting in the fist row, third from the right. 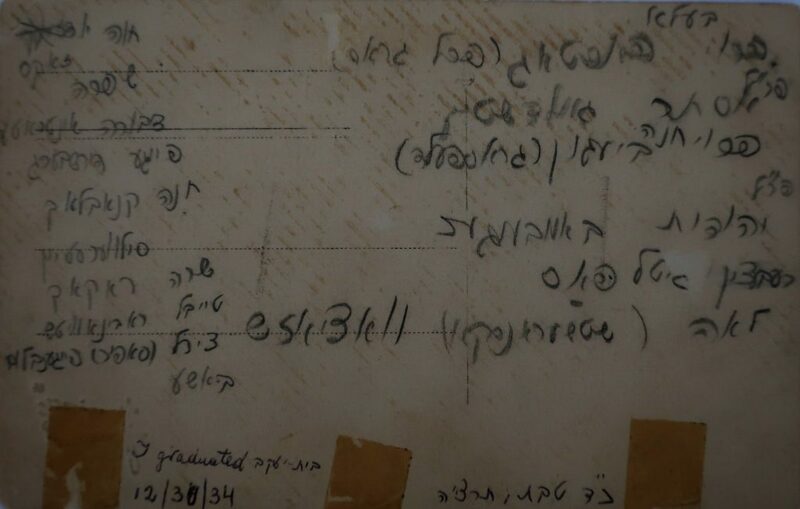 Devorah Epelgrad (Cohn) writes below: I graduated Bais Yaakov 12/30/34; 24 Teves, 5695. Some of the people listed were well known in Bais Yaakov circles: Devorah Teitelbaum was in the first class taught by Sarah Schenirer and went on to be among the first to be sent to start a school. She later taught Prophets in the Seminary. Chana (Grossfeld) Biegun was a student of Sarah Schenirer and Judith Rosenbaum who taught Bible in the Seminary; she was married to Yosef Biegun, an important writer and editor, who was involved in the Seminary but had no official role. 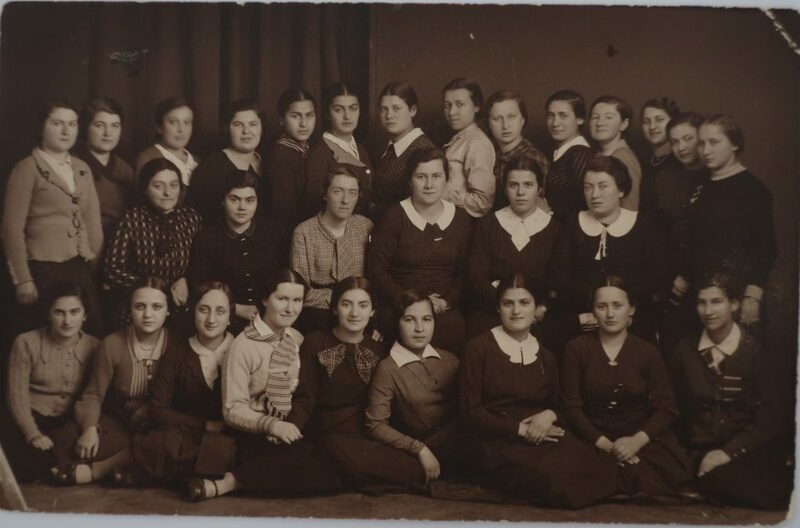 Leah Szczaranska was on the faculty at the Teacher Training Course in Rabka in 1928, and represented Bnos at the founding of Neshei Agudath Israel at the Second World Congress of the Agudath Israel in 1929; she gave a report on Bnos from the dais. Mrs. Baila Gross Pastog was a government-certified teacher with advanced degrees who was in charge of the secular studies program in the Seminary.